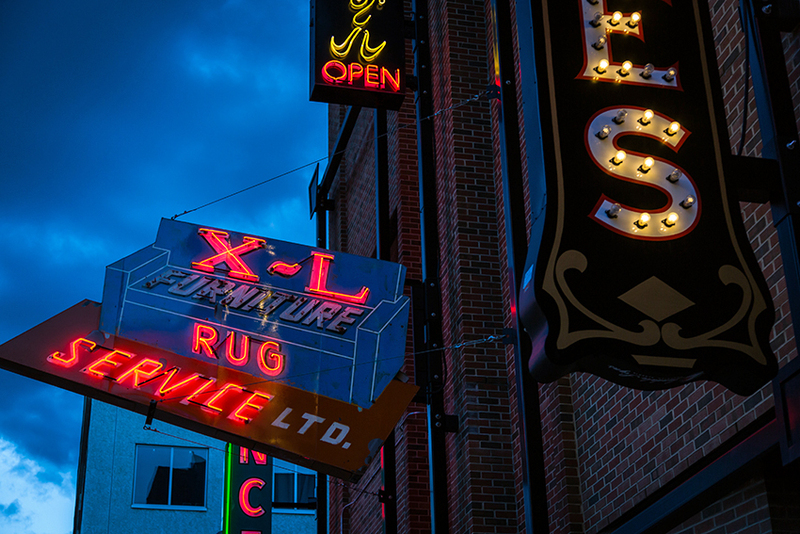 Edmonton's Neon Sign Museum, with the new Rogers Place Arena in the background. 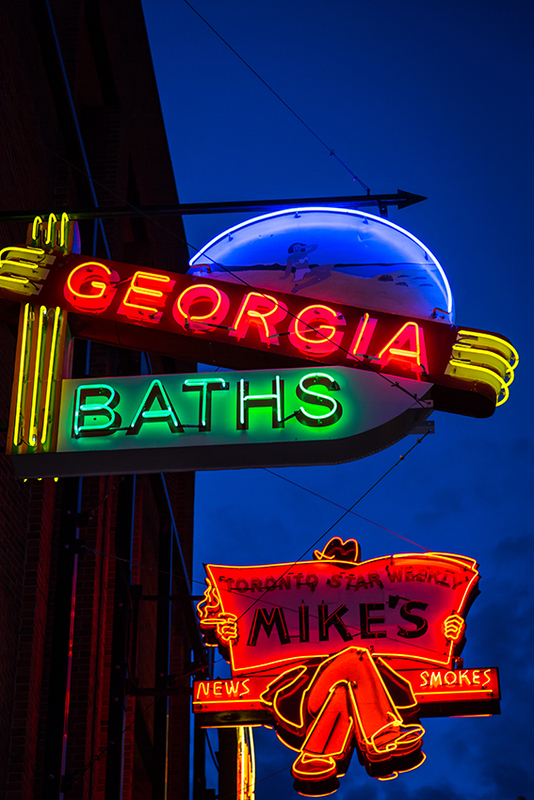 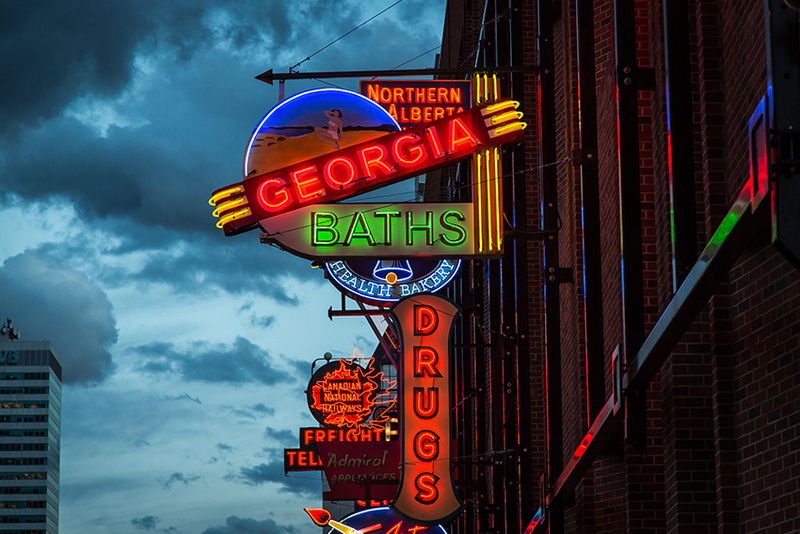 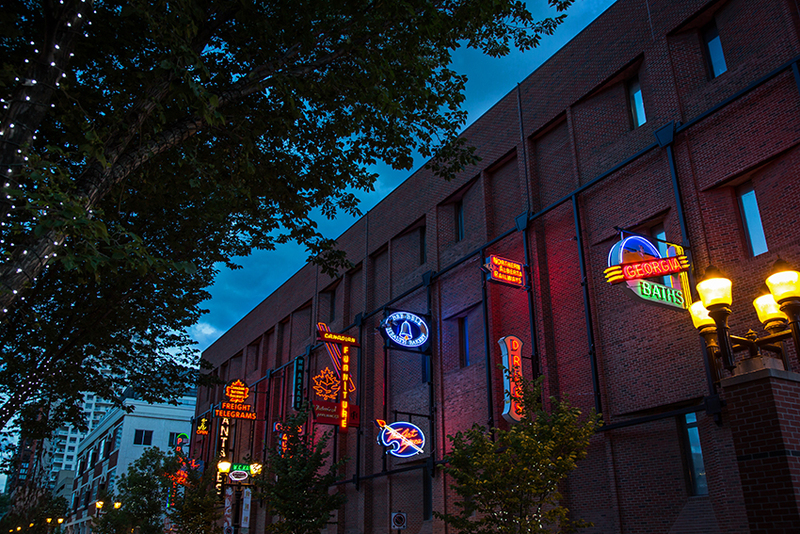 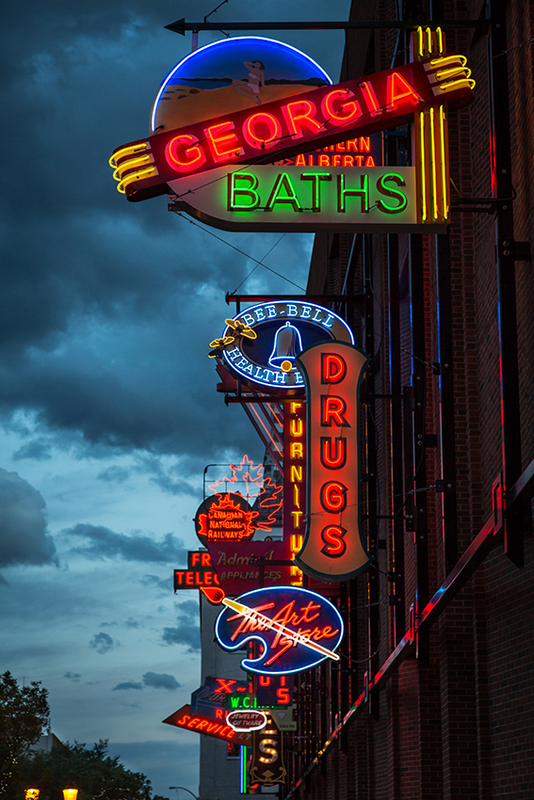 Launched in February of 2014, the downtown neon sign museum is now over 2 and a half years old. 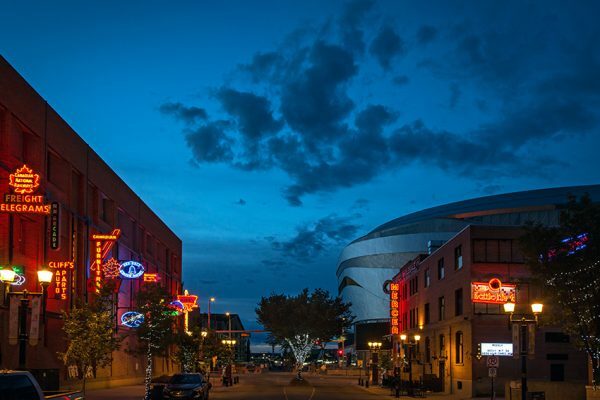 With the opening of Rogers Place in September and the continued development of an impressive number of downtown office and residential projects, the audience for this unique endeavour will only continue to grow. 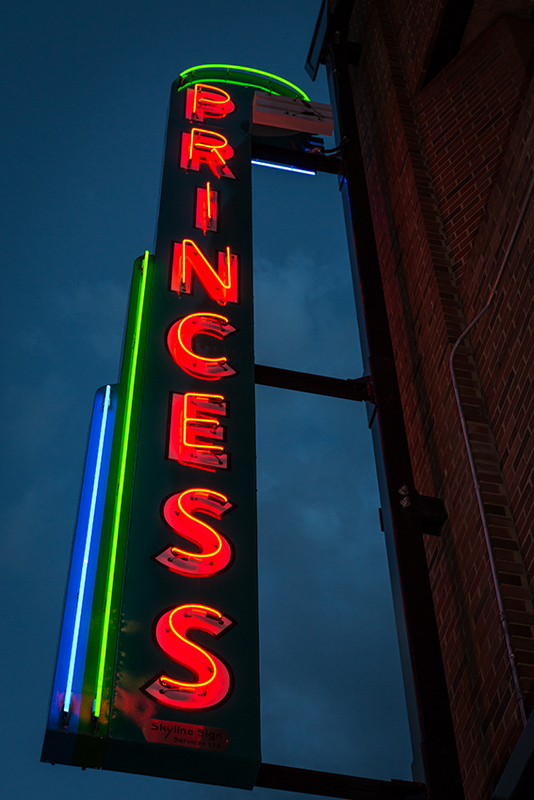 Here’s hoping the collection continues to grow as well! 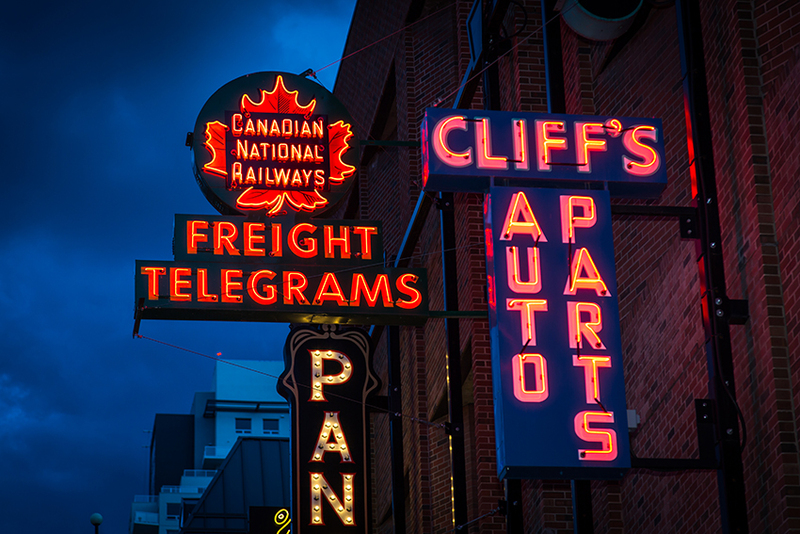 The Summer 2016 national print edition of Spacing included a selection of these photos in its pages. 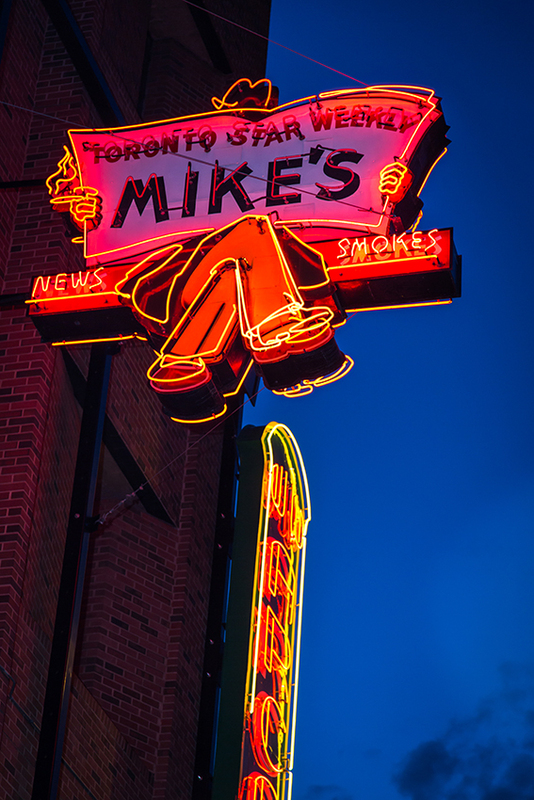 All photos by Tom Young.